The visit gave the Lord Mayors an opportunity to meet the Society’s Chief Executive, Captain Justin Osmond RN, as well as staff, enabling them to be briefed on the Society’s history and visit its seasonal Christmas card shop. 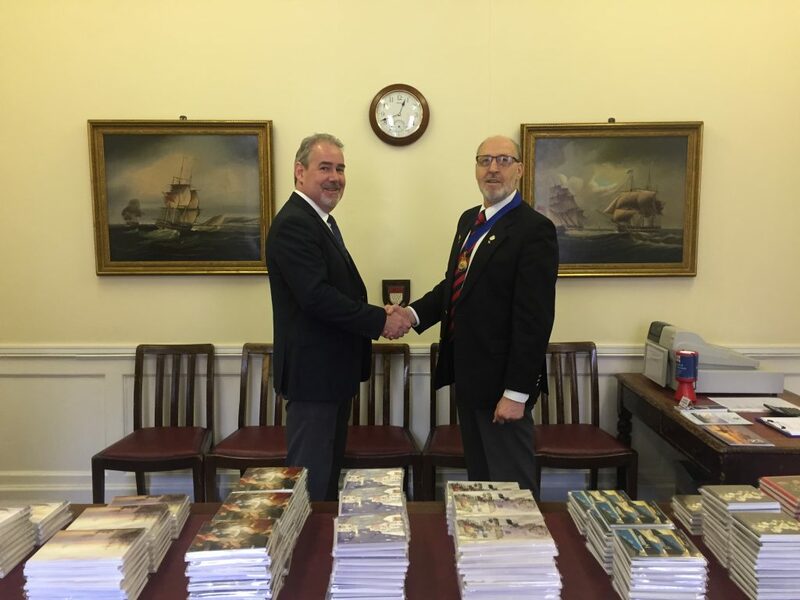 The Lord Mayor of Portsmouth, Councillor Lee Mason, said: “The Shipwrecked Mariners’ Society carries out such important work within the maritime industry and it is an absolute pleasure to have been appointed as ex-officio Vice-President earlier this year. 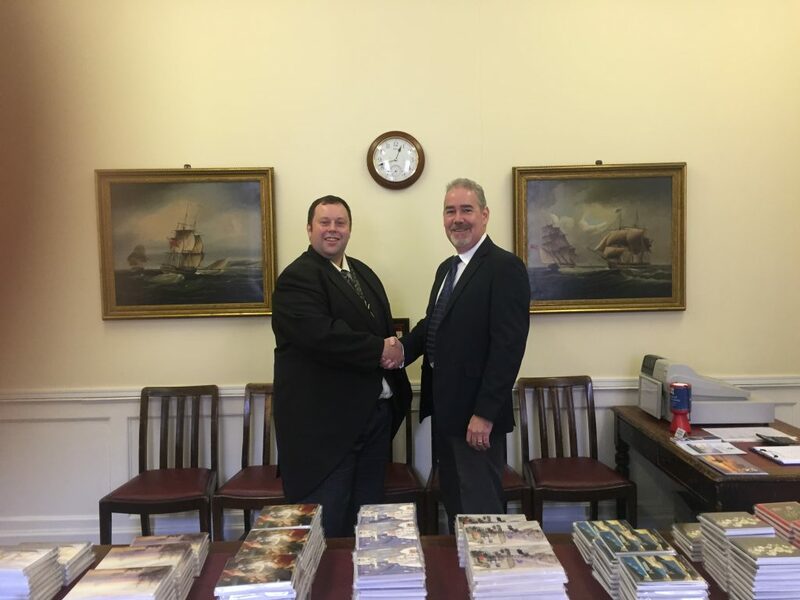 The Lord Mayor of Newcastle upon Tyne, Councillor David Down, said: “Since my appointment earlier this year I have been really keen to keep up with everything the Society has been doing to ensure it is providing the necessary support to our seafarers – including the work of its volunteers in Blyth and North and South Shields. Shipwrecked Mariners’ Society Chief Executive, Captain Justin Osmond, said: “We are delighted to have been able to welcome both Councillor Mason and Councillor Down to Chichester, so we could provide real first-hand insight into this historic charity and to demonstrate our pleasure in having them on board. Earlier this month, the Society marked the hundredth anniversary of the Armistice with a video, remembering more than 17,000 Merchant Seaman and Fishermen that lost their lives during WW1. The video recognises the admirable endurance and sacrifice of the men of the Mercantile Marine and Fishing Fleets in WW1, which saved the nation from starvation. During the conflict, the charity assisted some 52,000 sailors.